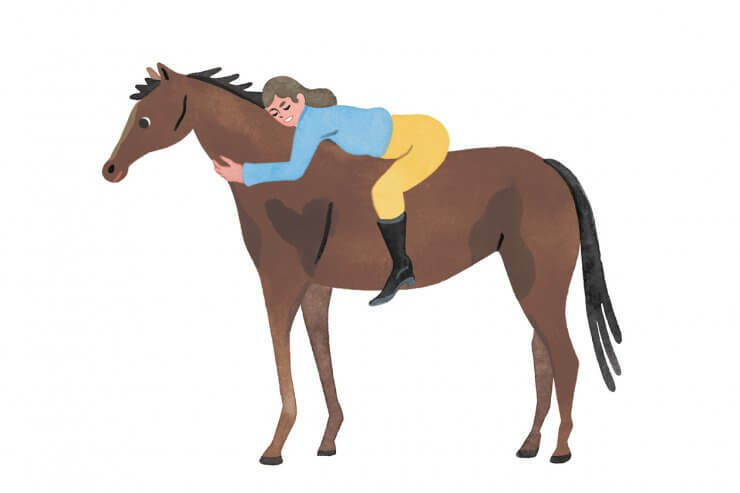 In the last issue of Equestrian Almanac we asked a handful of couples to explain their partner as a horse. Along with giving each of them a chance to think ‘like a horse’ and the readers a different perspective on humans and horses, we got a kick out of the venture and decided to continue the quest. Although they can’t talk, horses all have distinct personalities much the way people do. Couples who spend an extensive amount of time with one another and their equine partners, at the barn as well as competing on the road, have a unique perspective on this topic. Olympian and World Cup Final Champion Rich Fellers and his partner of almost 30 years know each other well. Running their own business, they have clients at home and on the road. With their two children now grown up, Shelley has had a touch more time in the saddle, and is quite the competitor. I think of Rich’s best horse Flexible when I think of him as a horse, as I feel they are very similar. Flexible is small and when he was young, no one thought he was going to be a top horse. And Rich came from a family that was supportive but not able to send him to top trainers. Similarly, when he was young, no one thought that he would be on the Olympic team or win the FEI World Cup™ Finals. Flexible is an incredible athlete – quick as a cat, powerful, running, turning, jumping – Rich is like that. He can take on any athletic challenge. They persevere through injury. Flexible keeps coming back, and Rich competed in the Olympics with a meniscus tear. Both are very tough and neither of them seem to feel pain. Mark Twain said “It’s not the size of the dog in the fight, it’s the size of the fight in the dog.” That is Flexible, and that is Rich. When getting ready to go in the ring they are so focused and so intense. It can be irritating, but it is why they win. First of all 100% there is NO DOUBT Shelley is a mare. And the type that gets more energy the more you work her. She’s quite sensitive and has lots of blood. You wouldn’t try to dominate her, that’s not really possible. You wouldn’t expect to accomplish all you wanted to in one ride, but you would be surprised the next day how well she responded to the previous ride. When you get her working with you she is a winner and a fighter until the end. She never gets tired, it’s impossible to wear her down. In the barn she would be very kind and considerate of the other horses. And she would worry for her barnmates, like a ‘mother’ mare. For me that is Shelley if she were a horse. Owners of OZ, Inc., Shelley and Jeff Campf and their clients are successful in the show ring. They are devoted to the sport, sitting on several committees, and own a series of horse shows. With a lot on their plates, plus raising two boys, one 12 and the other 18, the couple have a strong partnership. Jeff would be a handsome grand prix horse. He would be difficult enough to require a great rider, but win enough to earn his keep and make his owners very happy. Cheeky with a bad mouth, he would not tolerate a lazy or temperamental rider. He would be the type of horse that would insist on doing things his way although deep down he would be a total pleaser. Although Jeff would rather be at the horse show, when at home he would require a large grass turnout as he would never tolerate being cooped up in a stall. His stall would always be a mess, and his mane disheveled, but he would clean up well. Shelley would be a conformation hunter – she has great legs. She would be technically perfect and clever at every jump, without ever needing endless repetition at home. She would be sensitive but NEVER need a lunge line. Whenever possible, she’d prefer a nice grassy turnout. There is no doubt, she would always be in top form at the show. 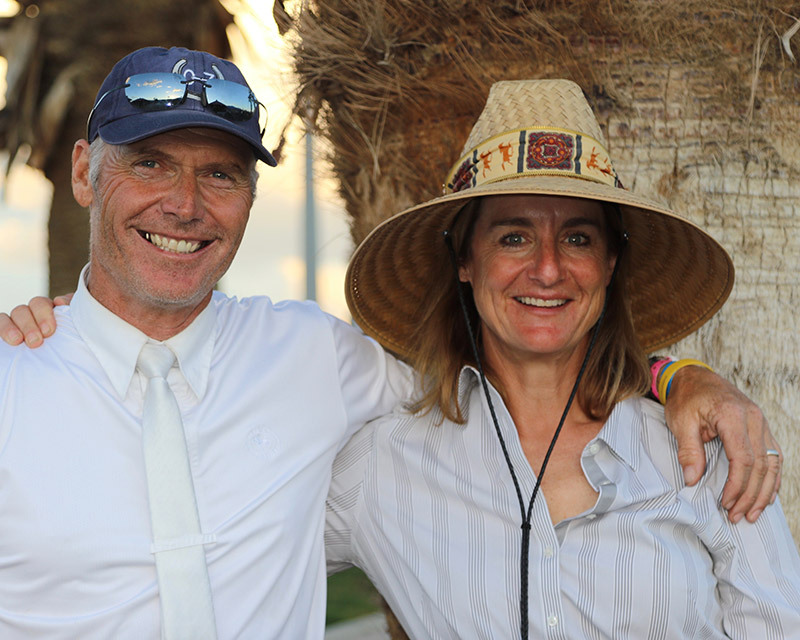 From thoroughbred racehorses to developing top equestrian events, Francie and Ali Nilforushan are involved in many aspects of horse sport. Both ride and compete, Ali for his home country of Iran. Their company, Nilforushan EquiSports Events, recently announced that they will be putting on a new series of horse shows in the wine country of Temecula in 2018. If Ali were a horse he would be a big, scopey, very attractive, bay gelding. If you ask Ali I’m sure he would think he would be a stallion, but no, I gelded him. He would be a bit unmotivated at home, but would have a lot of blood in the ring. He’d have a difficult mouth and might not be the soundest horse in the world, but he would have a big heart, he would be the hardest trier, and give 110% every time out. Obviously he would be my dream horse! If Francie were a horse she would be that perfectly built 16.3 hand chestnut mare. She would be very opinionated and for sure a bit difficult, but nothing a little good training couldn’t fix. Once she’s on your team, there would be no better horse to compete with. She would be sound enough for sport but would never pass a vetting. That wouldn’t matter, though, because she would be the only horse I would never sell. 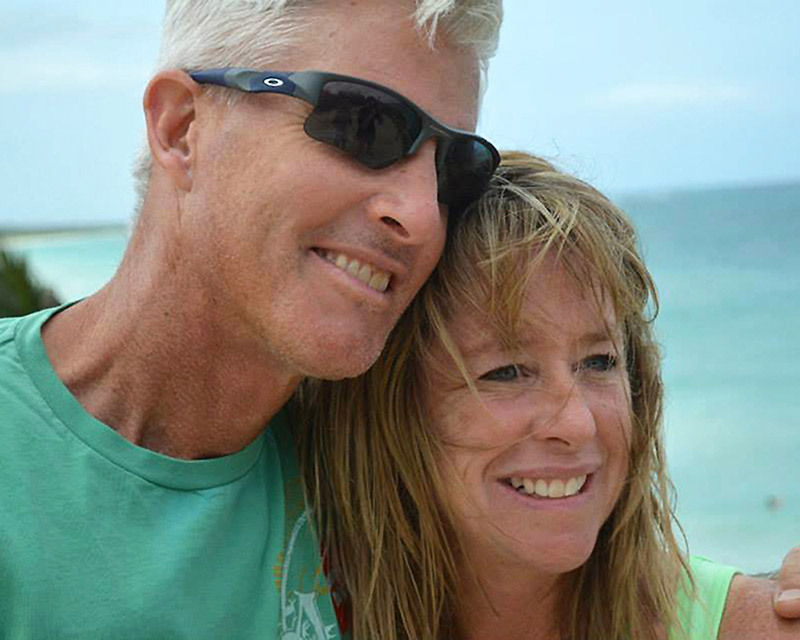 Just out of the newlywed phase, Tina and Craig are already a force on both the East and West coasts. 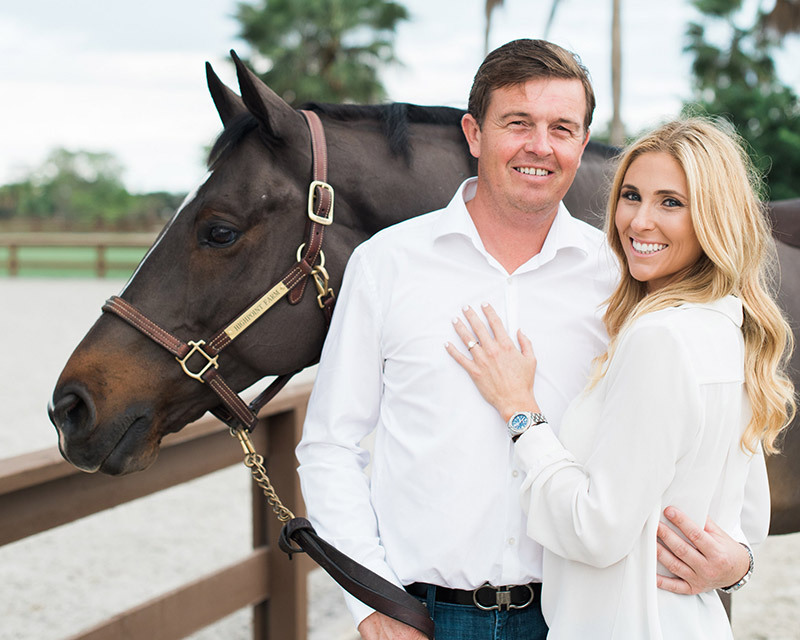 Known by his middle name, Jonathan Craig Yates hails from England and is quite accomplished in the sport of show jumping with years of management, sales and training experience. 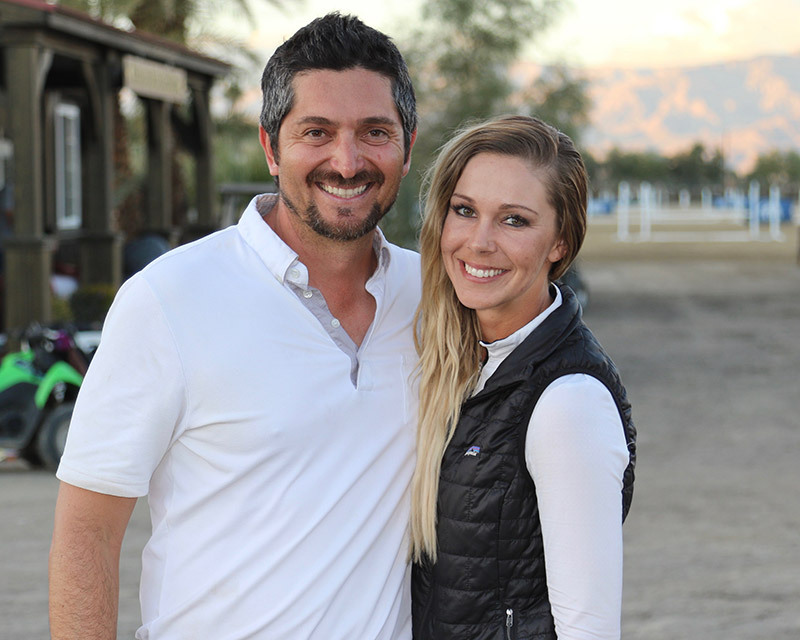 From Arizona, Tina Dilandri (Yates) had a very successful junior career and, working closely with her husband, is now rising through the show jumping ranks. Craig would definitely be a stallion and one that knows he’s handsome. In the barn he would be stubborn and a bit of a handful, and he would nicker at all the mares. But he would be pretty well behaved, most of the time, and smart. He would have a lot of natural talent. In the ring he would be fast, catty, and careful. When he won he would prance around wearing his blue sash around his neck. He likes sashes and coolers over ribbons and trophies. He would always want to lead the victory gallop. Tina would be the beautiful chestnut mare that expects people to look at her. At home she would be hard to train due to the fact that she believes she knows best. In the show ring she would try her best to jump everything clear, but she would take more pride in wanting people to watch and comment on how pretty and smooth it looked. In the stable she would be more concerned about not starting too early in the morning and getting her food on time three times a day. 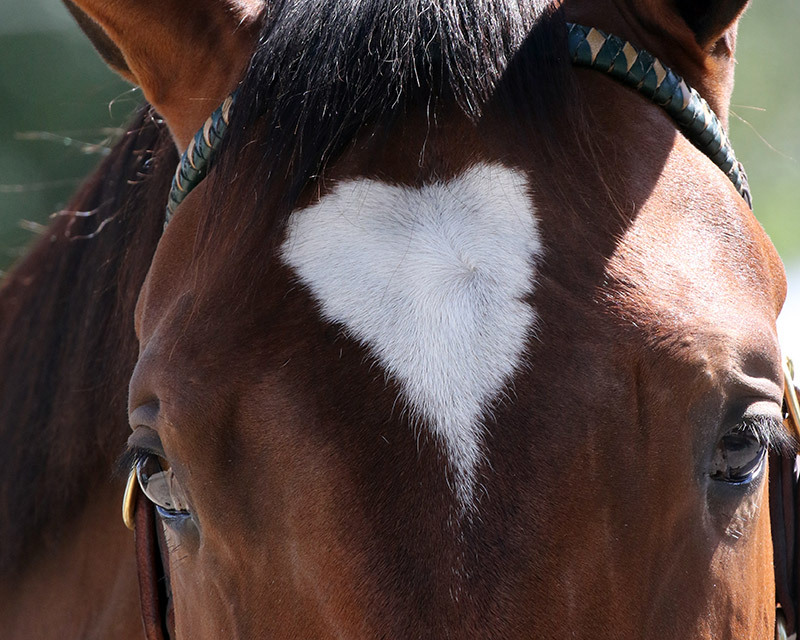 Visit equestrianalmanac.com to find more engaging content from this California publication.